Opendoor is bringing a simplified home buying and selling experience to Raleigh-Durham. The tri-city region of Raleigh, Durham, and Chapel Hill is known as “the Triangle”, and now, it’s officially known as Opendoor’s newest market. To say that Raleigh-Durham’s real estate market is red hot would be an understatement. 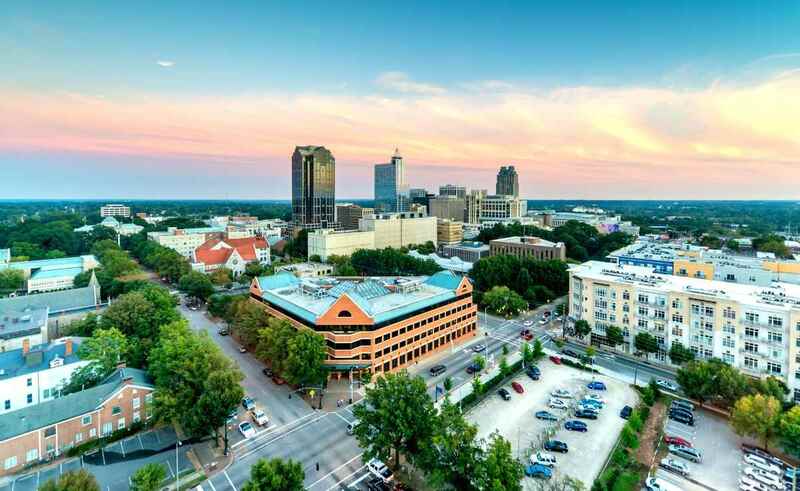 The Raleigh-Durham area is regularly voted as one of the top places to live in the United States, including ranking number seven on the prestigious U.S. News & World Report’s ‘Best Places to Live’ list. With great universities and a strong, diverse economy, more than 80 people move to the area each day. This means more home sellers and buyers that are going through the grinding, stressful process on a regular basis. 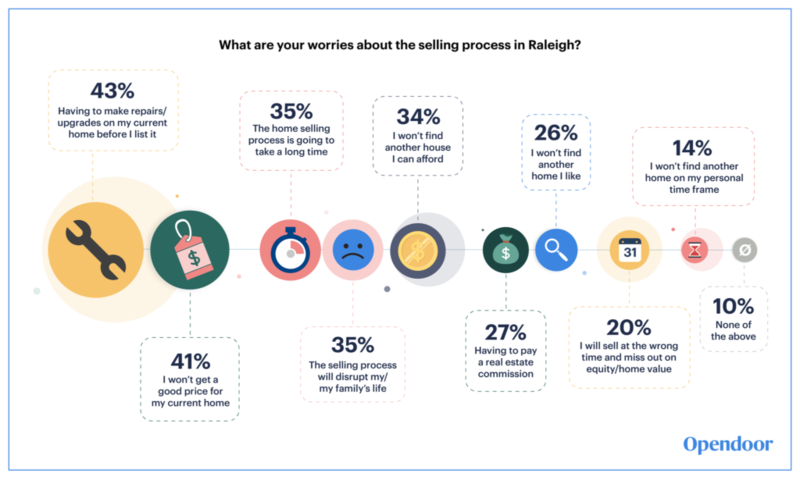 Opendoor asked local Raleigh homeowners what their biggest worries were about selling their current home. Opendoor solves all three problems for sellers. We aim to make a fair-market value offer on the home, based on neighborhood comps and photos and information provided directly from the seller. 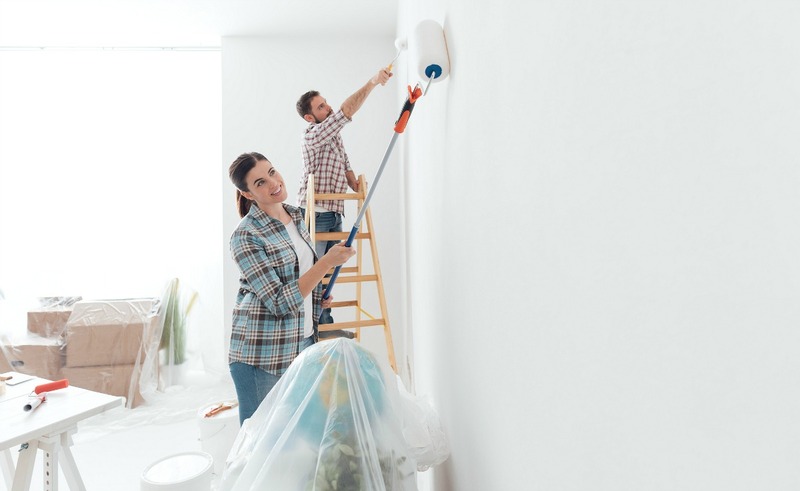 If any repairs are needed, we’ll estimate the cost required to make those fixes and share that with the seller, who has the option to complete these repairs, or let Opendoor do the work so they can move on to their next chapter—no work or worry necessary. And timeline? That’s a sure thing. Sellers let us know their desired closing date, which ranges from as little as ten, to as many as 60 days from when they get their offer, and we work on that timeline. No timing issues, no double mortgages. Opendoor gives sellers an edge in buying a home in Raleigh-Durham’s competitive market. Because Raleigh-Durham is a seller’s market and inventory is low, many buyers can’t compete. 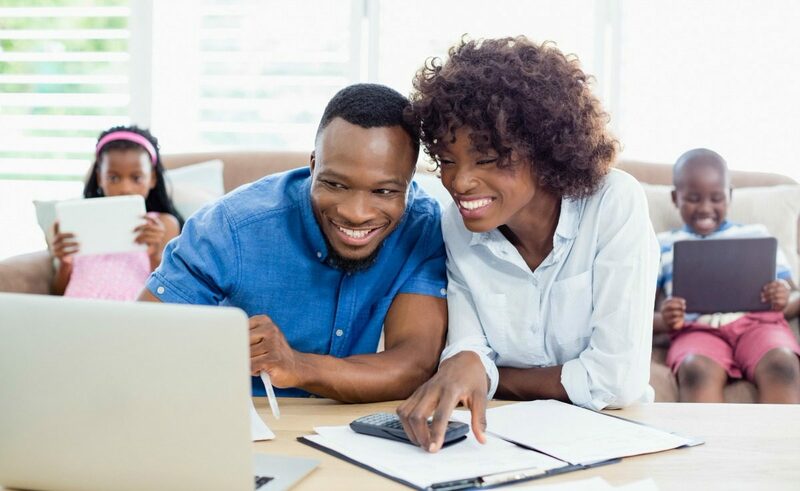 Opendoor helps would-be buyers, who need the equity in their current home as a down payment on their next the home, the ability to unlock that equity quickly and easily. There has been a shortage of houses for sale across the Triangle for the past several years, and just seven percent of current homeowners say they’re “completely likely” to move in 2018. That dearth of inventory and buyer demand is pushing the price of homes that are on the market through the roof. There’s a lot of stress on buyers, who often get one 20 minutes showing to decide if a home is right for them. 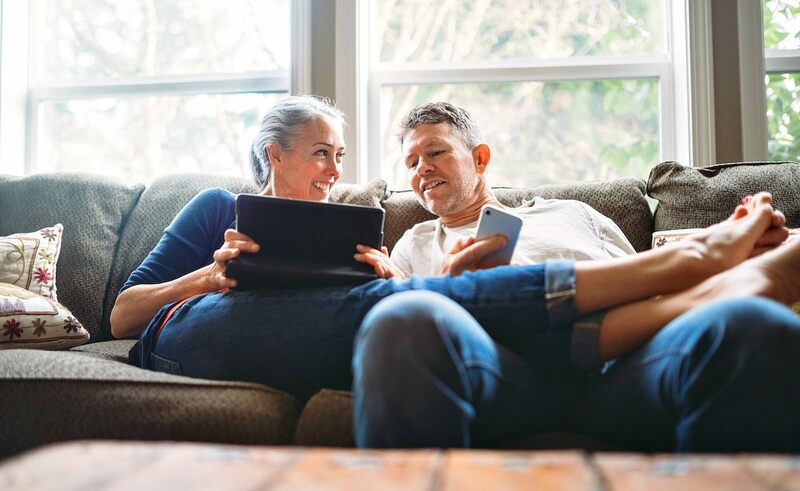 With Opendoor’s all-day open house, buyers can spend more time in a home to make that ultra-important decision of where they may spend the next five, 10 or 20 years of their lives. 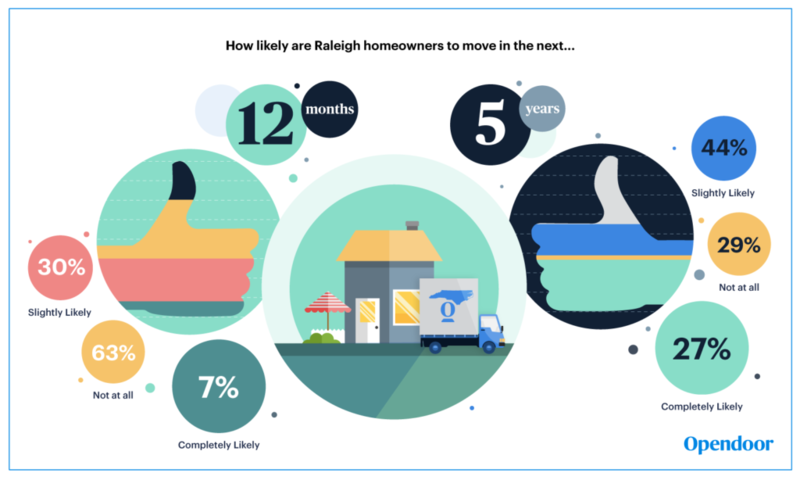 More than a quarter (27%) of current homeowners say they are ‘completely likely’ to move in the next 5 years, so it’s a perfect time for Opendoor to come to Raleigh and give sellers and buyers a simple, certain and streamlined experience. We’ve already worked with hundreds of incredible customers, and look forward to bringing ease, simplicity and control to more of our new neighbors in Raleigh-Durham in the years to come!